Please don't Say to Go to Tools -> I.Options -> Advanced ...turning off debugging etc etc.. I have tried all that and this popup dialog still comes up. Some forums suggested turning off a service called: Machine Debug Manager (MDM), the problem is that I can't find this service running on my windows version. Why? Some, but not all, Windows users have the Mdm.exe file on their system. This is the Machine Debug Manager, a program installed with the Microsoft Script Editor to provide support for program debugging. Users of Microsoft Office 2000 and above will have this program on their system. It also can be downloaded from the Windows Update Web site (update.microsoft.com). Because the Mdm.exe file can be a source of script error warnings, you can disable it to prevent seeing more unnecessary messages. You can use the Search tool (click Start and Search) to find the Mdm.exe file. However, a quicker method to disable this program is to open the Run dialog box (click Start and Run), type msconfig, and click OK. This opens the System Configuration Utility dialog box. On the Startup tab, look for the Mdm.exe file on the list. If it’s listed, deselect the corresponding checkbox. You will then need to restart your computer. Don’t worry if the file isn’t listed on the Startup tab. Even if the Search tool found Mdm.exe on your system, you may never need to run this program. 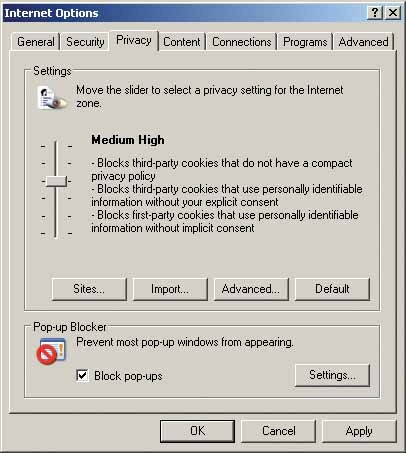 When turned on, Internet Explorer’s pop-up blocker tool can be a source of script error warnings. Assuming you're running from the command line, run with -multiWindow. I had previously been running with -singlewindow which was throwing the Script Errors. This worked for me on IE9. I have not checked IE8 yet, though.